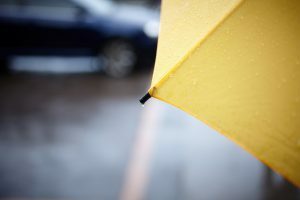 It is estimated that Portland only gets around 144 sunny days per year, which means most of the time, the weather is pretty dreary and gloomy. Make the most of the Oregonian climate with window film to take your mind off the weather, and bring utility to your home. Don’t cover your windows up with heavy treatments; use window film and catch the natural sun whenever it happens to peek out! Decor. Add a little personality to any space of your home with custom-printed window film. Choose your own pattern, motif, or insignia to give the home more style and class, while also providing a range of useful purposes. In addition, the right kind of decor can brighten moods in the house, a useful advantage during Portland’s dark winters. Light. Window film optimizes natural light while also preventing damaging UV rays. Use your decorative window film to reduce the glare that comes blazing into the home, but that allows optimal sunlight during those cherished bright and sunny days. Protection. Take care of what’s most important to you in your home: Protect furnishings and belongings with tinted window film. Custom decorative window film curbs fading of your possessions by preventing the damaging rays from reaching your grandma’s table, dad’s armchair, or priceless imported rug. Privacy. Custom window film provides obscurity and privacy, keeping prying eyes from peeking in your home. During gloomy weather, Portland natives turn on a lot of lights; this can set the stage for peering-in and a breach of privacy after dark. 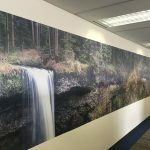 Even though aesthetics might be driving the decision to use custom printed window film, it can provide privacy that gives you that little extra peace of mind. Energy. Tinted or printed window film conserves and preserves energy in the home, keeping the heat out during warmer months and efficiently keeping you warm during chillier seasons. Over time, you will see savings grow on your monthly utility costs. Curb appeal. If the weather is gloomy, bring a charming curb appeal to your home outside with decorative film. Some say that the windows are the eyes of the home; give them a distinctive look with custom printed window film that will complement your curb appeal in a cohesive way. Make the most of your windows by allowing natural light in, but keeping the gloomy weather at bay. Contact Pacific Window Tinting for custom decorative window film to fit your distinct windows and precise measurements. 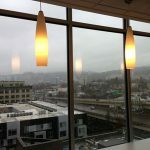 There are a lot of things to love about Portland – especially if you don’t mind the rain!